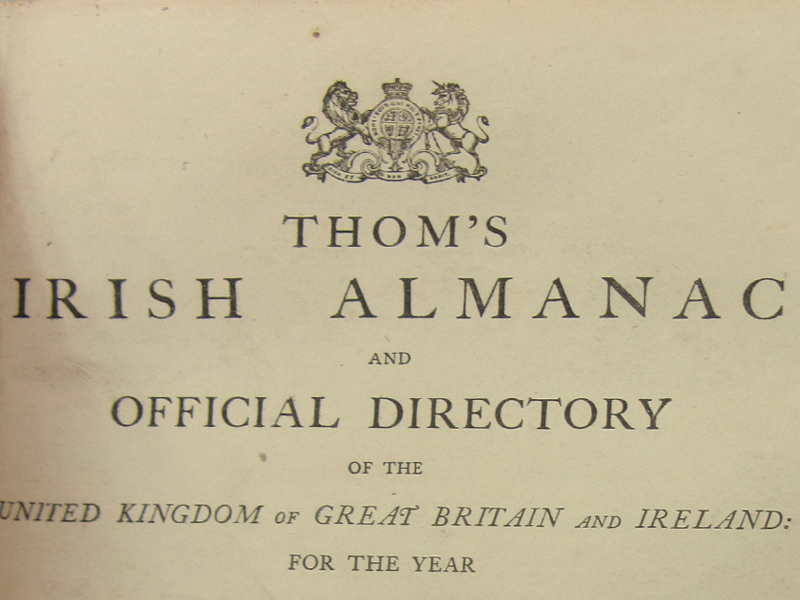 Any genealogical list is an asset to researchers but the information provided in the Thom's Directories also gives us an insight into the workings of 'local government' in the County of Kildare at the end of the Famine period. The databases were conceived and designed in 2003 and it is intended to add material from other Thom's Directories held in the Local Studies Department of Kildare Co. Library in the future. My thanks to Eric Kemp, a former member of staff with Kildare Co. Library and Arts Service for his help on the databases, and Mark Kennedy for his help in editing and inputting the data. Any mistakes are mine and I welcome criticism and advice should mistakes be noted so that corrections can be made. Copies of the originals are available in the Local Studies Department of Kildare County Library. I do hope that researchers and enthusiasts find it useful. It is part of the process of making primary and secondary material available via the Internet which has been undertaken by the History and Family Research Centre to encourage people to engage in local history and genealogy as well as increasing accessibility to the Local Studies Collection in Kildare County Library. This resource was made available by the History and Family Research Centre of the Local Studies Department of Kildare Library & Arts Service.